Caring for your Urban Farm is a task that requires daily attention. 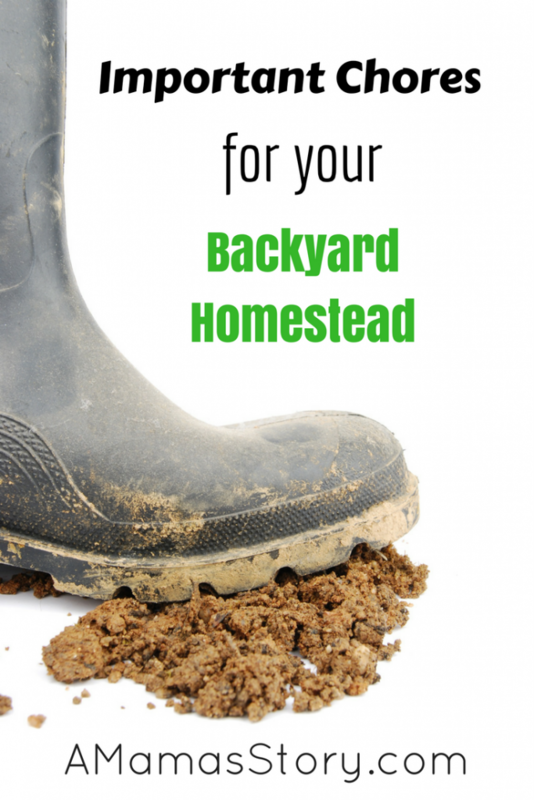 There are a few important backyard homestead chores that you need to keep in mind so that your backyard homestead can be productive, healthy, and well managed. Walk through your garden daily, preferably in the early morning or just before sunset. Check the soil to see if you need to water your garden, but only do so early in the a.m. or late because you will otherwise be losing your delicate efforts to evaporation. Use this time to also pull weeds that you see cropping up, it is much easier to address 10-15 thistle, for example, than to have to spend 2 hours weeding later. Check your plants over well for disease or pests that you may notice, it is a lot easier to manage issues if you catch them early. Harvest your bounty daily, this ensures that your plants keep producing and you don’t miss any of that beautiful fruit. Check the water levels for all of your animals, this is a hallmark of disaster if you miss something. Should an animal turn over a water bucket or a water bottle leaks you may have a fatality on your hands if the problem goes unnoticed for long. You’ll also want to check to see that there are no cage issues or injuries. Some livestock, like rabbits, can chew through a wooden cage in a matter of hours; you don’t want one to escape while you aren’t home. Give a visual inspection of all animals, large animals may require a walkaround to visually inspect for any sores or insect bite problems. Don’t forget to check your coop for eggs, especially if you have a rooster and hens that have a tendency to be a bit broody, you won’t like the eggs much if they sit under a hen for too many hours. Add to your compost pile daily, or as often as your kitchen scraps allow. When you add in animal byproducts and kitchen scraps, be sure to keep a pitchfork handy so you can do a single flip or toss of the pile every few days to aerate it. If using a tumbling style composter, turn it over when you visit. One of the best things you can do is to conserve and collect your own water. This can be done with a rain barrel which you check on to be sure you have no leaks or overflow issues. You can also save graywater from your home to use in your garden. Just be sure to use appropriate detergents that will not harm plants. Every week or so, you’ll want to do a more thorough inspection of your farmstead. This includes checking all fences, cages, raised beds, walkways, animals, and gardens. Make a note of anything that needs immediate attention and take care of those items first. Plan time to mend anything else that may need it. Lawncare, like mowing and trimming, can supply treats to your chickens and rabbits as they love to eat grass. Throw the excess grass clippings in your compost bin. Keep your homestead tidy and clean to notice plant and animal health issues right away, and quickly resolve them. 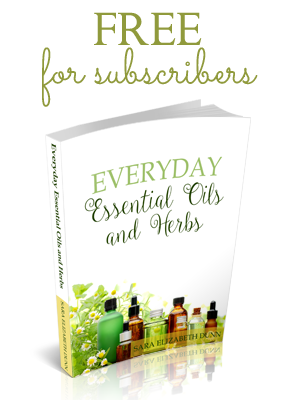 While you’re growing your homestead, you will undoubtedly learn about other plants you want to grow, animal breeds you want to raise, or skills you want to learn. This is a great time to work on a farm notebook. Figure out how to work your new ventures into your budget and schedule in a methodical and planned way. Sometimes, there’s a desire to do everything at once. This often leads to unfinished jobs and lost enthusiasm. Try to get one project up, running, and successful before trying something new which allows you to have more quality time to devote to the new project, giving you that added advantage for success. Caring for your homestead also involves cutting energy consumption and buying products that are less stressful for the planet. Even if you’re unable to modify your current power source by using solar or wind power, you can practice conservation. Simple acts include using a lower wattage of bulbs, turning off appliances not in use, and adjusting your thermostat. Not only will these changes use less energy, they can save you money, too. For conservation techniques, always take reusable shopping bags with you, and actually bring them into the store. Try purchasing items in bulk or with less packaging. Little steps will add up to a bigger impact for your life. Before long. caring for your homestead will become so integrated into your daily lifestyle that you don’t have to think about it. Just like taking care of your animals and garden, shopping for the goods you can’t produce yourself will become second nature. You’ll remember to bring your reusable bags, shop in bulk, and purchase products that support your life decisions. Change may occur slowly, so don’t become overwhelmed. Start with one thing – chickens, a garden, or even your utility usage; and make a smaller imprint on the planet. Download this simple chart to keep up with tasks and supplies. Great for grownups, but also for kids to learn how to manage a backyard homestead. Farming includes more responsibilities and chores than one can realize. I so admire all who farm and garden extensively. May you reap the rewards of your hard work! So true! 🙂 We thought having our little hobby farm/backyard homestead would be a simple thing we tended to a few minutes a day. (You can imagine how long that lasted). It does take work, but we love it. Thanks, Theresa! Having a backyard homestead is awesome.